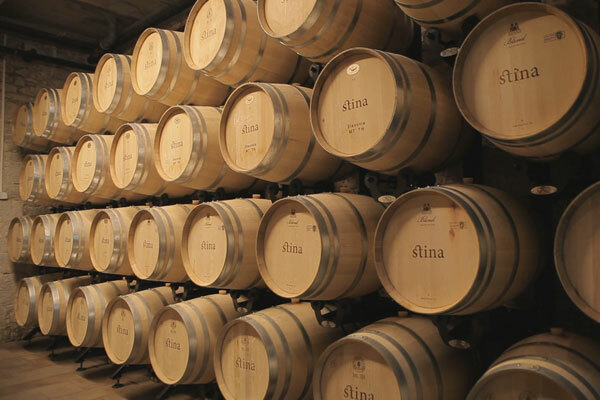 Whilst Stina Winery & Vineyards are a relatively new player in the wine market, wine-making in Bol is a centuries old tradition. We visited the vineyard on a warm May day, taking the drive up the side of the mountain with a Stina Viticulturist who kindly took some time out of his day to take us to the vineyards perched above the settlement of Murvica. The road is set on very steep terrain which made for a white knuckle ride for us. The original vineyards have been completely re-constructed with new access roads, retaining walls and additional vines planted. As we turn off the main road onto the gravelled access road into the vineyard its clear that this is very steep terrain. So steep in fact that in areas it exceeds 45 degrees. High up in the mountain ahead of our vehicle the rows and rows of grapevines can be seen as far as the eye can see. It becomes clear that significant investment has been made and that a lot of the work that happens in this vineyard must be done so by hand. Our guide, tells us that this vineyard before us is the King of Dalmatian red wine, Plavac Mali. We complete the hair-raising ride and stop for photos to soak in the impressive scenery. 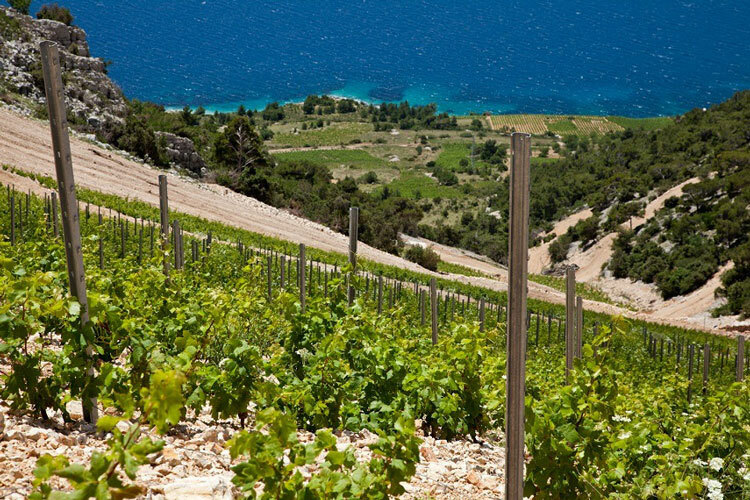 The view from the vineyard out to the Adriatic Sea with the island of Hvar in the background is simply stunning. On our way back down from the vineyard we make a pit stop at the old Stipancic convent. Our guide takes us on a tour of the local Dragons Cave set amongst the vineyards. It’s at the Dragon Cave where mysteries have yet to be answered, but that’s a story for another time. Cave tour complete, we make our way back to the town of Bol, and head over to the cellar. 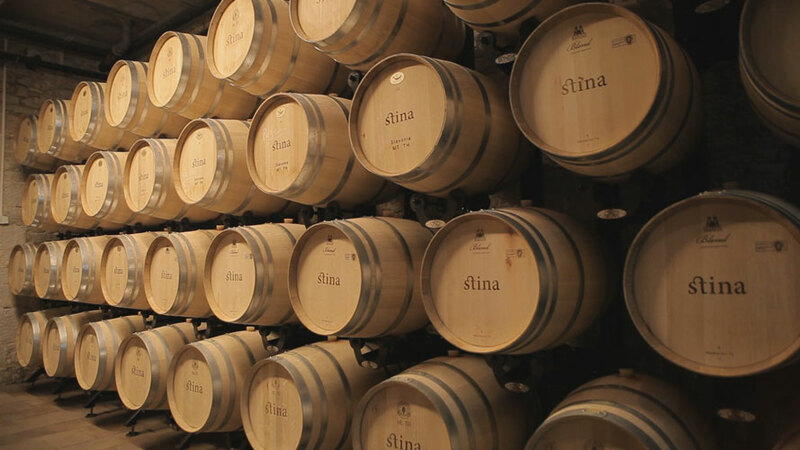 Bol has a long history of wine production. A local cooperative was established around 110 years ago and a wine making facility was established in the town centre. 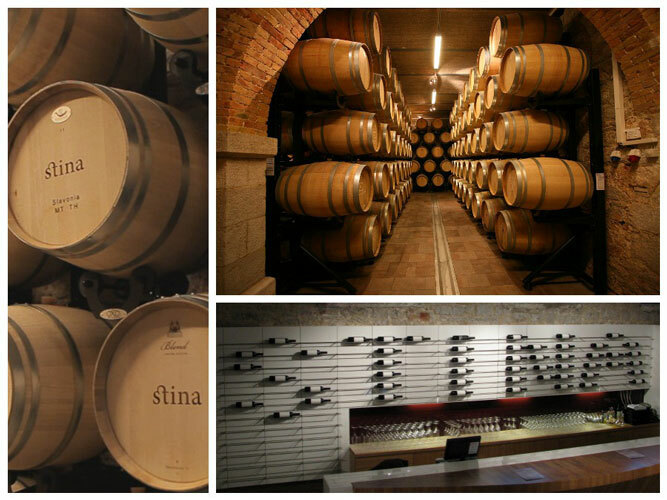 In 2009 Jako wines, the parent company of Stina, leased the existing facility and renovated it including a modern upgrade of all the wine making equipment. As we arrive at the cellar we are met by Jeri, Stina’s head sommelier who takes us into the bar and wine tasting room. 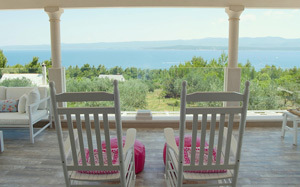 The room is beautifully decorated with the Brač Stone that the island is so famous for. We are then whisked away and taken on a tour of the winery by the head wine maker.